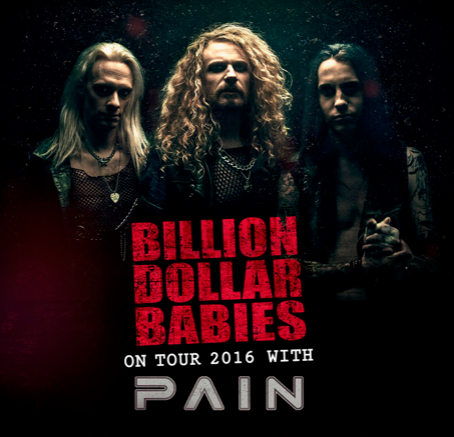 In October & November this year Billion Dollar Babies will join forces with the mighty PAIN to take on Europe together during a one month tour. Expect nothing but loads of gritty, heavy darkness when we bring the Chemical God alive. We can’t wait to see you all in the audience and in the merchandise booth after the shows. Check out the tour schedule and buy your tickets today before the shows get sold out.